It was a disappointing start to the Liga 3 Rückrunde for 1860 Munich. Despite taking an early lead against Lotte on matchday 21, 1860 were unable to hold onto the lead. “Normally, you have to win a game like this one. But we make to many wrong decisions, not only in this game but all season long,” sporting director Simon Gorenzel told the media this week. “In this league, there is no room for errors. We have to learn to get the job done,” Gorenzel added. Once Lotte had found the equaliser the Lions were unable to find the necessary offensive power to collect all three points. Part of this was due to the snowy conditions of the pitch, which made it difficult for 1860 to control the game, but more significant it was once again a lack of general attacking quality. Some of that attacking quality has now officially left the club. Forward Adriano Grimaldi, after a long back and forward, left 1860 Munich and joined KFC Uerdingen, a club financed by a Russian oligarch, who after the first defeat of the Rückrunde fired head coach Stefan Krämer despite sitting in fourth place. The example of Uerdingen highlights that 1860 are not the only with irrational decision making. In fact, the point against Lotte now firmly places the Lions in the middle of the table with 27 points, five points away from the dropzone. With this in mind, it would be fair to say that for a promoted side 1860 have done reasonably well this season. But on Saturday a difficult task awaits the Lions. League leaders VfL Osnabrück will be in town. The very side that stole two points from 1860 after the Lions had taken a 2-0 lead at Bremer Brücke on matchday 3. For Osnabrück, that result was the start of an unbelievable run that has taken the Lily Whites to the very top of the Liga 3 table where they sit five points ahead of pursuers Karlsruhe and Halle with 44 points. The man behind the success? Head coach Daniel Thioune the first German-born black head coach in one of the top three flights in Germany. Born near Osnabrück Thioune is a bit of an outlier, a head coach with a clear vision for his club, who was tasked to stabilise a team that has not played in Bundesliga 2 since 2011. “I’ve learned that in life every step must be taken and sometimes each one takes longer… It showed me that even when the road is a little bumpy, I can still take it,” Thioune said in a recent interview with DW. The projection for this season was for Osnabrück to play a good role but not to reach promotion. Thanks to Thioune the club is ahead of that development curve and will be favourites when they travel to face 1860 on Saturday at the Grünwalder Stadion. Will Prince Osei Owusu become the king of the Lions? 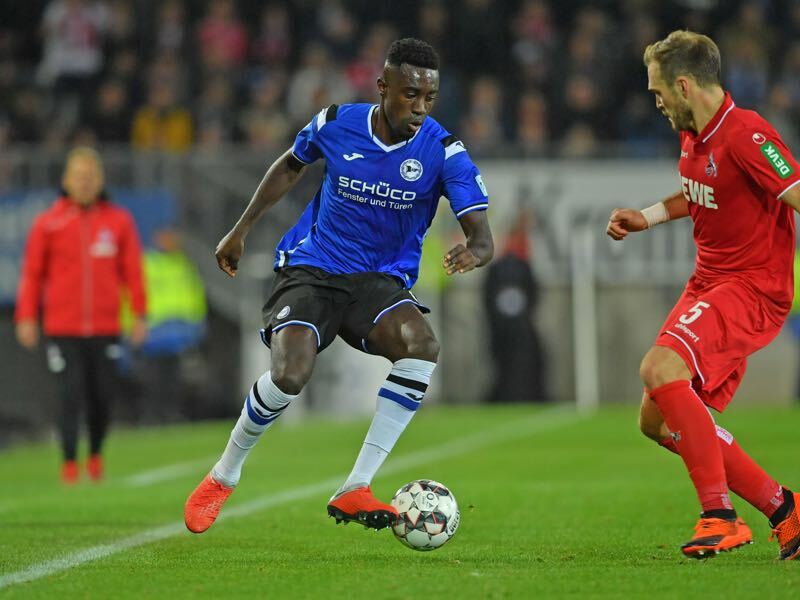 The former U-19 German national team striker joins 1860 on loan from Arminia Bielefeld until the end of the season, and the club hope that Owusu can fill the void left by Adriano Grimaldi. The 22-year-old “will not have a lot of time to be integrated,” as Gorenzel pointed out during the week. “At the end of the day,” it will be Daniel Bierofka’s decision whether Owusu will already start this weekend. Gorenzel replaces Bierofka during the week as the 1860 head coach is currently studying for his coaching licence in Hennef. At Bielefeld Owusu has failed to score in 11 Bundesliga 2 games this season but netted twice in two DFB Pokal games. Good news for the Lions top striker Marcos Álvarez will be missing the game on Saturday thanks to a fifth yellow card received on matchday 20. Bad Osnabrück have some attacking depth and with Marc Heider a dynamic winger, who has already scored six times for his club this season. The 32-year-old captain, who was born in Sacramento, California is on his second stint with the club. He first joined Osnabrück back in 2005 but in 2009 left for Werder and then played for Holstein Kiel before returning to Osnabrück in 2016. Osnabrück have avoided defeat after going a goal down seven times this season. Osnabrück have won the last 14 games in a row, and have not lost any of their last 11 away games. 1860 have only lost one of ten competitive fixtures against Osnabrück. 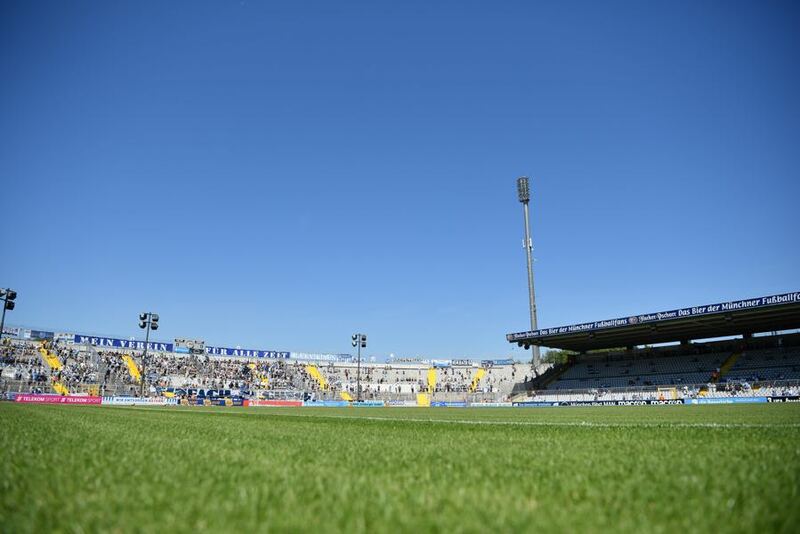 The Lions have never lost at home against Osnabrück but at the same time have only won one of the four games played in front of their own fans.